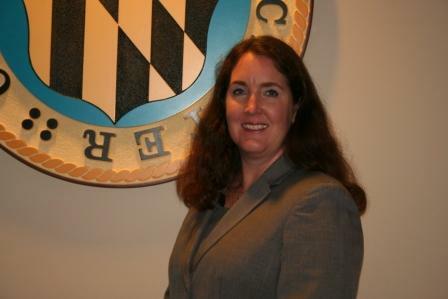 The Worcester County Commissioners named Stacey Norton, PHR, and CPM as the new Human Resources Director. Norton earned a Bachelor of Science Degree in Business Administration with a concentration in Human Resources Management from Auburn University in Alabama. Prior to stepping into her new role with Worcester County Government (WCG) on July 6, 2015, she served as the Complex Human Resources Manager for Perdue Foods, LLC in Milford, Delaware. She brings 16 years of generalist and specialist experience in Human Resources and six years of IT experience to WCG. Norton, who resides in Ocean Pines, actively volunteers in the community. A few of the organizations she supports include the Perdue Relay for Life Team for the American Cancer Society, Delaware Food Bank, Habitat for Humanity, March of Dimes and Project Clean Stream. Norton took over for former Human Resources Director George P. Bradley who joined the WCG team in 2001 as the risk manager. He took over as the director in February 2008. His expertise in the field of Human Resources helped the Commissioners put together a team of top notch employees who strive to meet the goals of the county while providing outstanding service to the citizens. Bradley retired June 30, 2015. For his many contributions as well as his deep regard for WCG employees, he will be greatly missed. For additional information about WCG, contact Kim Moses, public information officer, at (410) 632-1194.